The United States has the largest and most advanced Navy in the world. The American naval warfare branch boasts of more than 300,000 active service members, more than 100,000 reservists, the world’s largest aircraft carrier fleet and over 4,000 ships and aircraft. And while the presence of nuclear weapon aboard U.S. aircraft carriers has neither been confirmed nor denied by America since the end of the Cold War, there is a range of highly powerful weapons and defense technology in Navy’s arsenal to defend the homefront against threats by air, land and sea. If you’ve ever wondered what U.S. Navy weapons are anchored to its success, then don’t miss this article! The Seasparrow missile is an important short-range fixture on U.S. Navy and NATO warships. 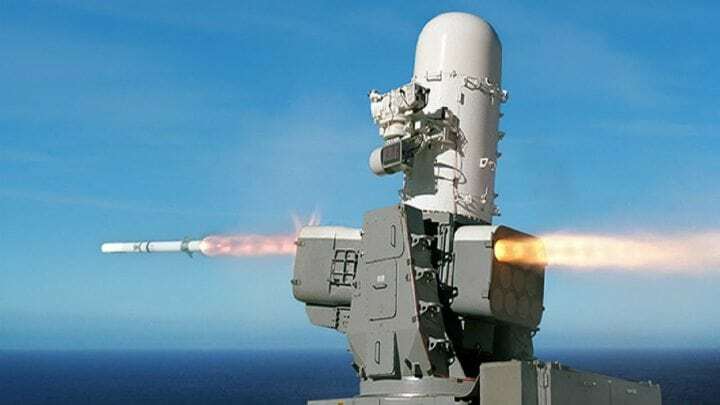 The surface-to-air missile is guided by radar and can defend military sea vessels from a variety of air and surface threats, including anti-ship cruise missiles. These powerful navy weapons are not something you’d want to mess with. The missile was originally developed in the ‘70s, but has since undergone significant developments to serve as one crucial component in a multi-layered naval air defense system. These projectiles are outfitted with warheads that spray a circle of fragmentation into the target when they explode. 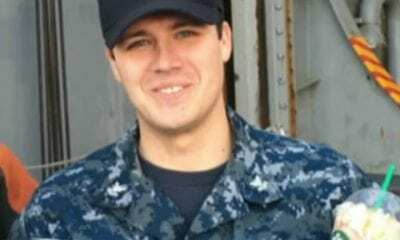 According to the Navy, their speed and range are classified. Those versed in Greek mythology can probably already guess that this weapon system is a floating, tech-forward version of a protective shield. The Aegis isn’t really a single-function device, but rather a comprehensive command-and-control system that can track and guide weapons. The system uses powerful computers and radars to detect incoming threats and deploy response strikes to destroy hostile targets. The U.S. Navy currently has 84 ships configured with this advanced system that suits a number of seafaring security needs. Although the ESSM missile’s own speed and range are classified, these mid-range, surface-to-air missiles are designed to intercept anti-ship missiles traveling at supersonic rates. 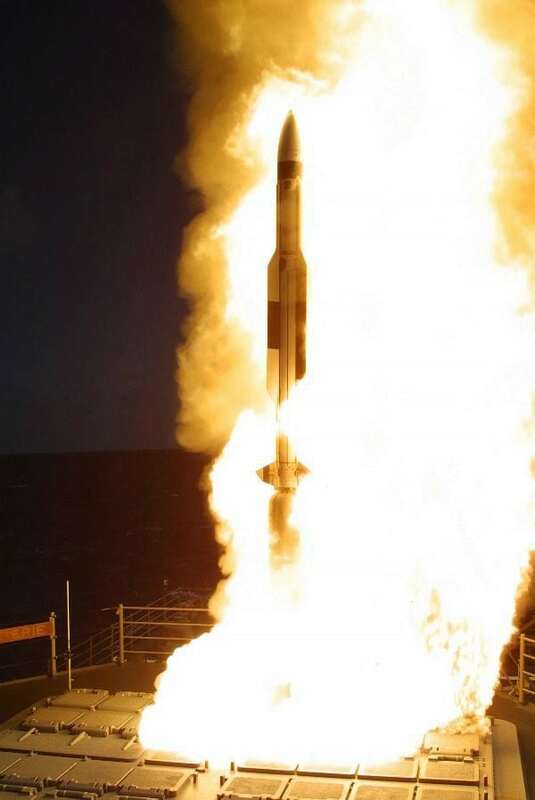 The ship self-defense missile is a reliable weapon in the face of maritime threats by sea or air. At 12 feet long and with the capability to deliver a 90-pound warhead, these response weapons aren’t to be fired at random with a going price of $787K to $972K. Originally designed decades ago, a new and improved ESSM Block II version is set to go operational in 2020. 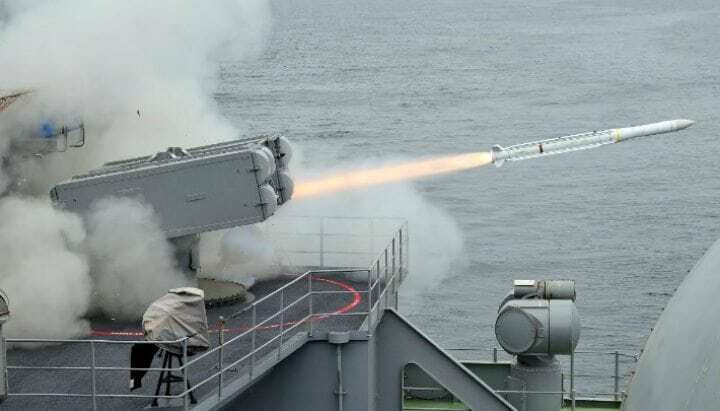 Developed as part of a cooperation between the U.S. and Germany, the RAM is a high-firepower, low-cost system that can shoot down anti-ship cruise missiles and other airborne threats at close range of about 10 miles or less. The name of this piece of weaponry is derived from the manner in which the missile rolls around its longitudinal axis to stabilize its trajectory. As of 2005, it has been the only missile in the U.S. Navy stockpile to operate as such. 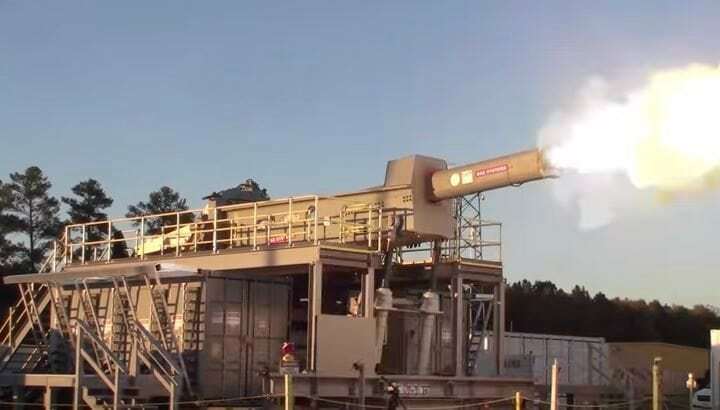 Described by researchers as “Star Wars technology,” the railgun is considered the future of naval combat. Harnessing the power of kinetic energy, this powerful firearm uses electromagnetism instead of chemical combustion to fling projectiles at ridiculously high speeds of 4,5000 to 5,600 mph. Essentially a magnetized rocket launcher, this giant superweapon can reach ranges of up to 100 miles away. 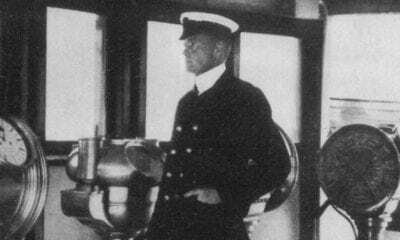 It was conceived with the purpose of ridding ships of conventional “powder” guns. A prototype of the game-changing piece of weaponry was tested in 2014 on the “USNS Millinocket,” but it has essentially been dry docked ever since. Come hell or high tide, the U.S. Navy uses the likes of the next super advanced weapon to defend national interests. This anti-ship missile may be common, but a single unit goes for the whopping price of $1.2 million. More than 7,000 weapon units were produced from its induction in 1977 through 2004. The Harpoon can be launched in any weather from coastal batteries, aircraft, surface ships or submarines. With an over-the-horizon range of more than 67 nautical miles, the Harpoon missile delivers a penetrating, high-explosive blast warhead of up to 488 pounds. Originally purposed to serve as the Navy’s fleet-wide basic anti-ship missile, the Harpoon has since advanced to an highly-adaptable variant of naval weaponry. Its name might sound cute, but this maritime projectile is anything but adorable. As the name indicates, this short-to-medium range guided missile is designed for naval use against large seacraft. The latest generation of Penguins are cold-hard “fire-and-forget” missiles that can perform en route weaving maneuvers. 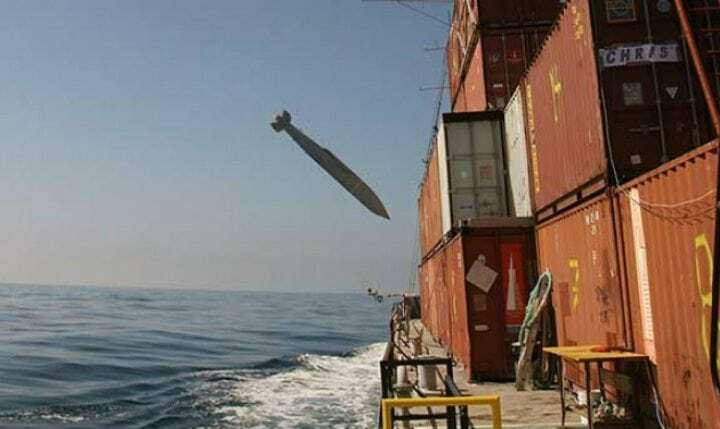 This anti-ship missile can strike targets close the waterline and deliver a delayed-fuse warhead that detonates inside the target. There are various versions of the Penguin which can be launched from various weapons platforms including surface vessels, fighter jets and helicopters. 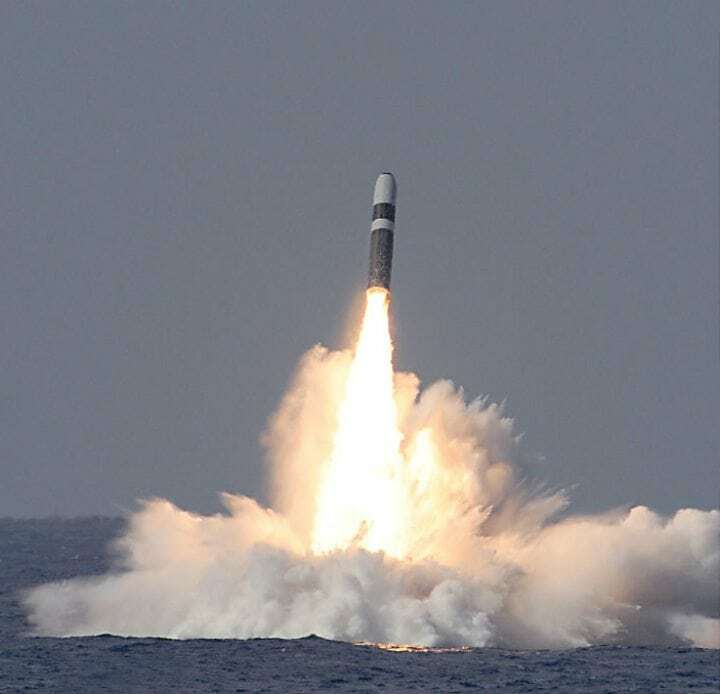 The Trident II (D5) missile is one of the most powerful and reliable weapons in the U.S. military’s arsenal. This potent, intercontinental ballistic missile is a centerpiece of American efforts to deter nuclear warfare and is deployed aboard the U.S. Navy’s Ohio-class submarines. Each sub can carry 20 Trident missiles, which can each carry a payload of up to 12 multiple independently-targeted nuclear warheads (a.k.a. lots of warheads that can each be aimed at a different target). One of these missiles could reportedly destroy a small country like North Korea and a handful could take down a larger nation’s entire electrical grid. This anti-submarine missile is designed to protect surface fleets from submarine attacks. The VLA is launched into ballistic trajectory from an upright position aboard a Navy surface ship. Up decent, it parachutes down to the ocean surface to deliver a torpedo targeting an enemy sub. 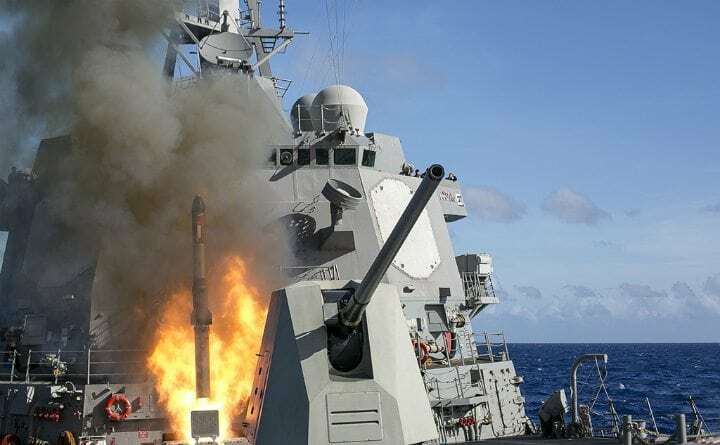 Ships equipped with the comprehensive weapons-detecting Aegis system carry the mechanism to launch a missile that’s compatible with lightweight torpedoes. U.S. contractor Lockheed Martin has sold more than 1,000 of these rocket-propelled missiles since 1993 and it is currently available for sale to 38 countries. 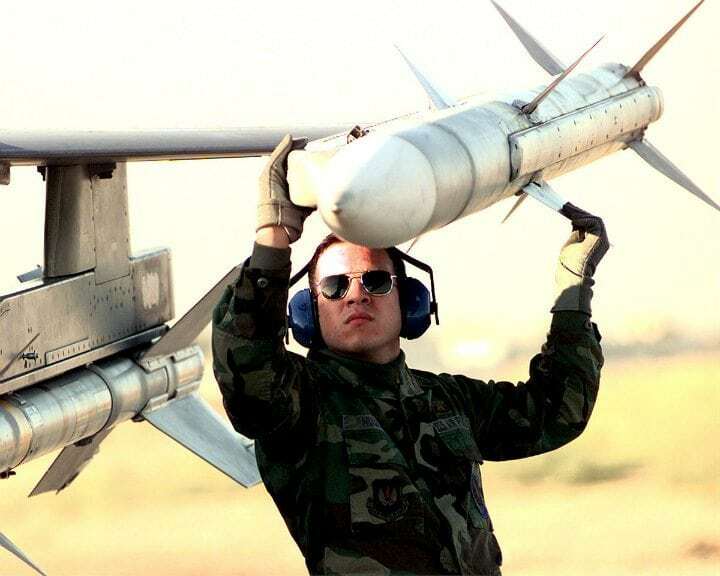 The DoD has apparently been funneling millions of dollars of funding in recent years for the latest upgrade to the AIM-120 AMRAAM – one of the most powerful and widely-used aerial combat missiles in the modern world. The new model is due to be flying high by 2020. 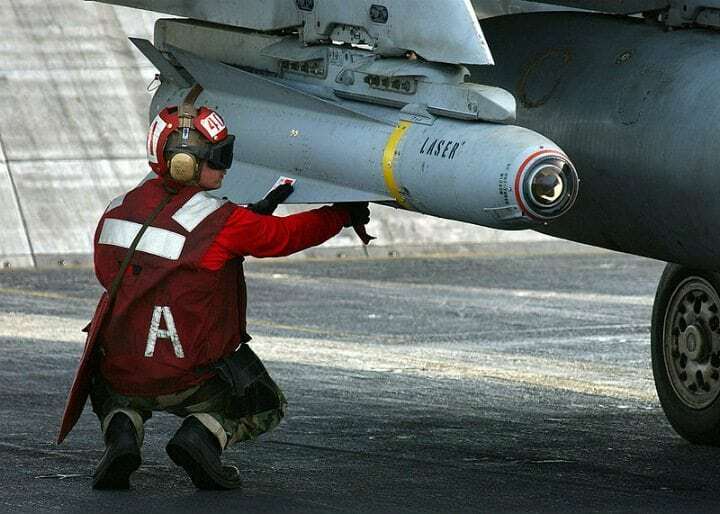 The AMRAAM has evolved over the years to maintain air superiority and is capable of airstrikes in all weather and at any time of day or night. Launched from aircraft to hit other airborne targets, this “fire and forget” weapon is in service with the Navy, Air Force and 36 U.S. allies. Keep reading for more insanely powerful weapons the Navy uses when it comes time to sink or swim. 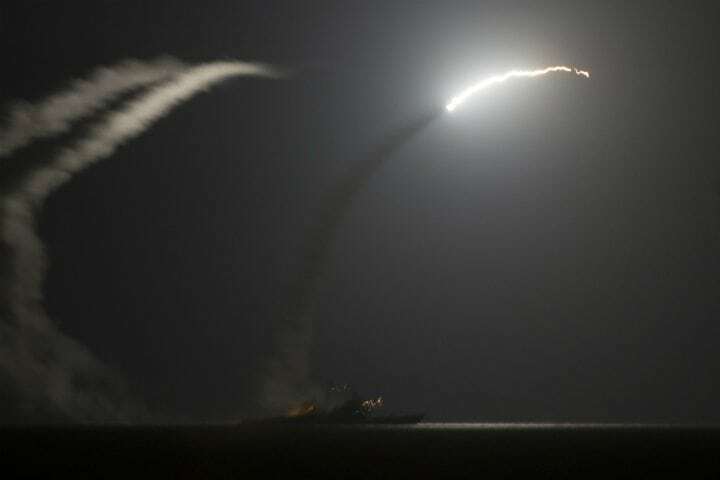 Surface ships and submarines can launch this powerful, long-range missile in all kinds of weather to strike targets in deep land attack warfare. 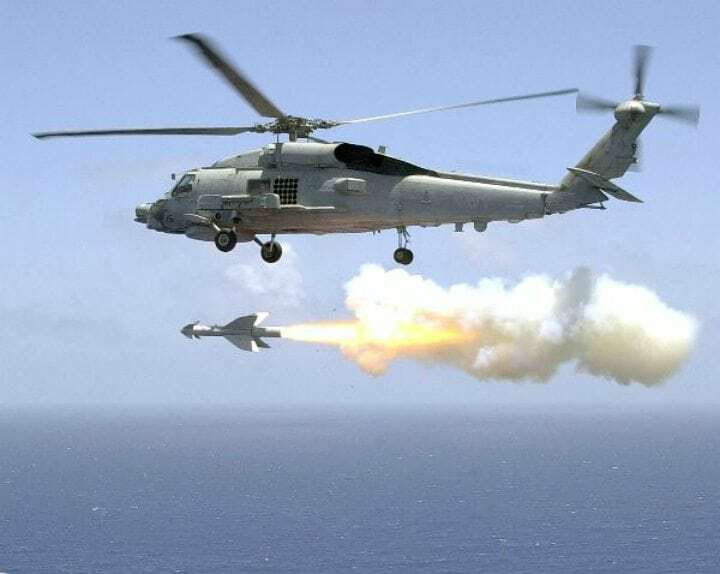 With the latest pricing estimates (in 1999) at over half a million dollars a pop, Tomahawks can travel at subsonic speeds up to about 550 mph for a range of 700 to 1350 nautical miles. Equipt with highly-accurate GPS precision guidance and onboard cameras that can transmit back to controllers halfway around the world, the Tomahawk can conduct precise strikes from positions of safety. These cruise missiles can circle for hours and shift course while carrying nuclear or conventional warheads. They have repeatedly been used in attacks on militants in Syria. 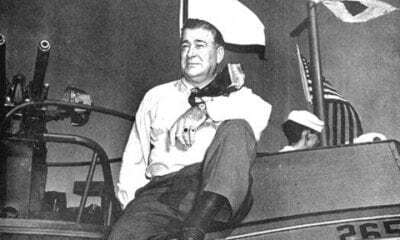 Before Tom Cruise and Top Gun,” there was this Maverick. The air-to-ground tactical missile is the most popular precision-guided missile produced in the West. The Maverick can blow the lid off targets ranging from armor and air defenses to fuel storage facilities and air, sea and ground transportation. 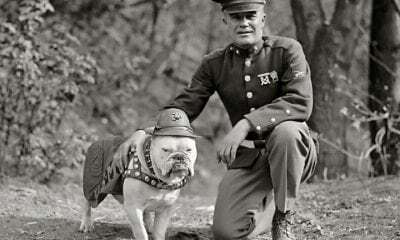 Along with the Navy, the Marine Corps and Air Force also employ these short-range tactical weapons. U.S. forces launched more than 5,000 of these missiles during Operation Desert Storm in 1991. 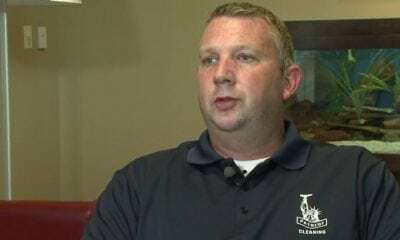 Mavericks were also instrumental in subsequent operations in Iraq in the 2000s. The Standard Missile has a pretty generic name, but don’t call is basic – its capabilities are quite extraordinary. 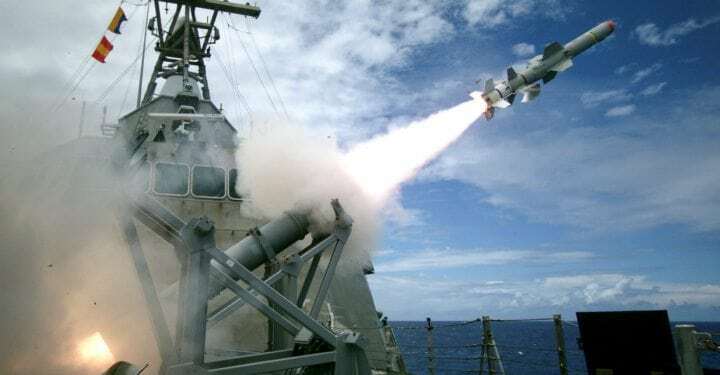 There are various models within the shipborne guided missile family that can shoot down aircraft, strike ships and intercept ballistic and cruise missiles. The Navy’s primary surface-to-air defense weapon is the Standard Missile 2 (SM-2), which is mainly used in air and ship defense missions. 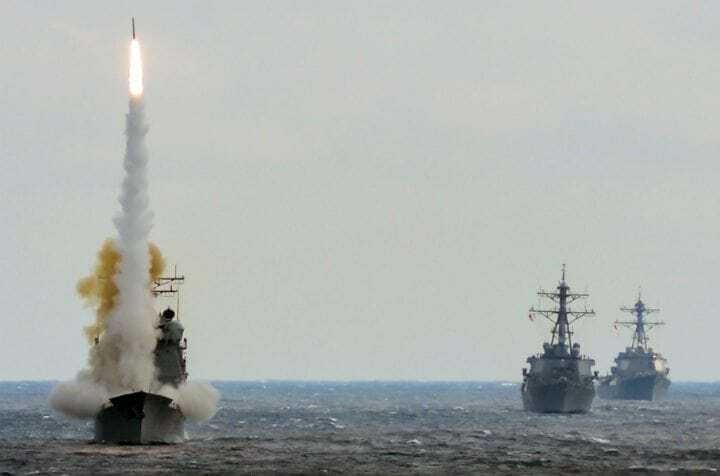 The ship-launched SM-3 model counters ballistic missiles while the SM-6 serves as an upgraded model of the SM-2 and can intercept both hostile aircraft and anti-ship missiles. The Mark 60 CAPTOR is the only deep-sea, anti-submarine mine in American service. It encapsulates a Mark 46 torpedo in an aluminum shell and is anchored to the ocean floor by a ship, aircraft or submarine. Once placed, the torpedo can last underwater for weeks to months. Once the torpedo identifies its target, it emerges from its casing before it detonates. These one-stop cylindrical mines were also intended to cut down on naval minefield costs. Don’t worry, they can differentiate between hostile and friendly subs. The Mark 48 (MK 48) heavyweight torpedo delivers a lot bang for the buck as it can travel through the water at a speed of more than 28 knots (32.2 mph) for more than five miles all the while carrying a high-explosive warhead of 650 pounds. Every American sub in service these days is armed with these “fish,” which can destroy enemy vessel above or below water. These next-level torpedoes are strapped with “smart” homing technology including, an advanced sonar system and digital guidance controls. The MK 48’s newest generation works swimmingly in deep and coastal waters. There are more lethal U.S. Navy weapons where that came from, keep scrolling. 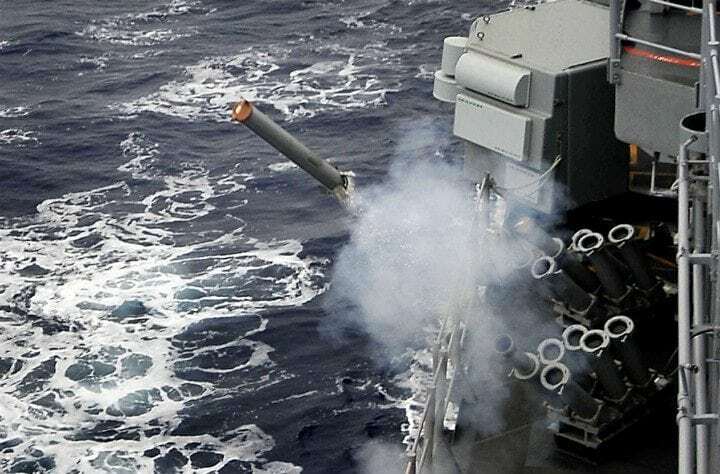 Along with missiles and torpedoes, the US Navy’s weapons arsenal also includes this fully-automatic, 5-inch 54-or-62-caliber naval gun mounted aboard Arleigh Burke-class destroyers and Ticonderoga-class cruisers. The MK 45 can be used against surface, air and land targets. Mounted on deck, the gun has a maximum firing rate of 16 to 20 rounds per minute and has a range of 13 nautical miles. The versatile and extremely accurate gun is said to be more economical when a target is within the engagement envelope than guided weapons. 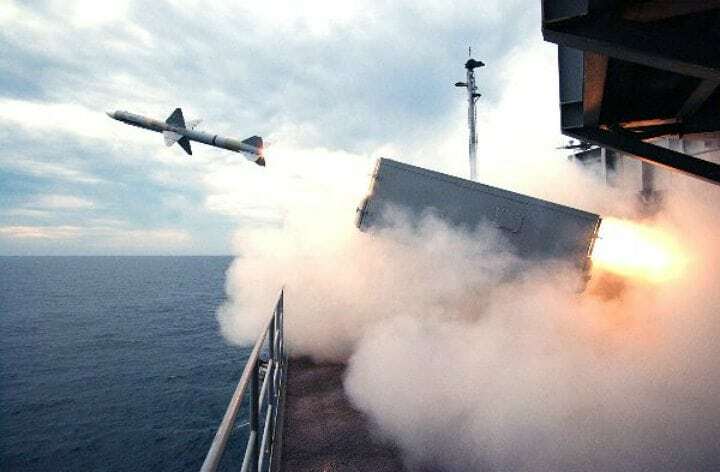 This precision-guided cruise missile launched from the air is considered one of the most accurate missiles used by the U.S. Navy. This weapon is used by several branches of the American armed forces and is capable of attacking short-to-medium range targets on land and at sea. 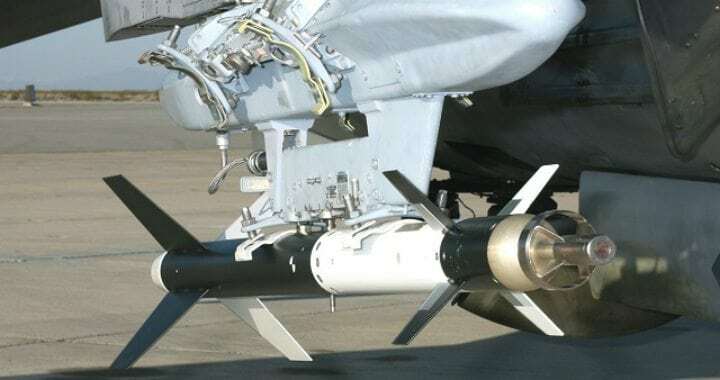 Technically called the AGM-84K Standoff Land Attack Missile-Expanded Response, these weapons go for $500,000 per unit. These projectiles feature state-of-the-art technology and can be remotely controlled during flight to strike moving of stationary targets. In 2017, the Navy gave Boeing a $12.3 million contract in part to manufacturing more SLAM-ERs. 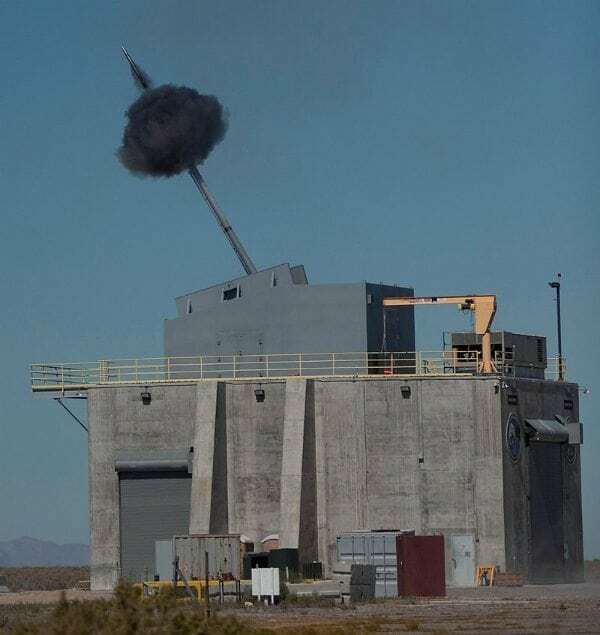 This turret-mounted, 155-millimeter gun was specially developed for the Navy’s newest, most technologically advanced warship – the USS Zumwalt. 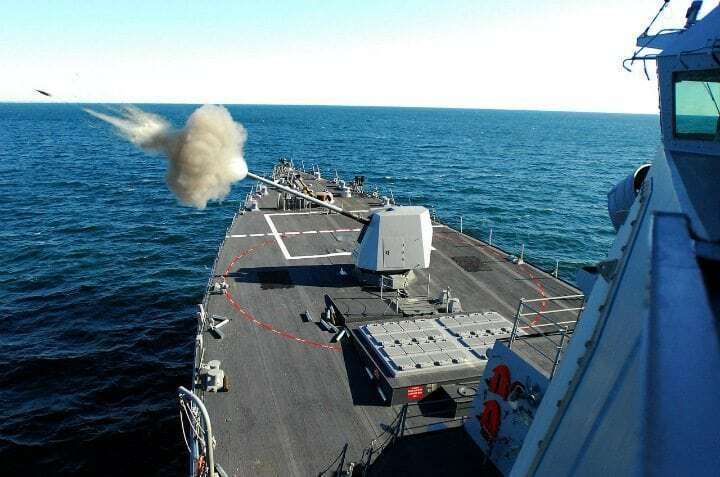 Among the considerable arsenal of weapons on the next-generation destroyer class are two of these Advanced Gun Systems. The game-changing technology of the AGS can hit targets up to three times farther than standard destroy guns can. These installments can fire rocket-powered, computer-guided shells at targets located up to 63 nautical miles away. The Sidewinder has a fun name, but don’t be fooled, this short-range missile is one of the most successful weapons in the U.S. arsenal and is the military’s main missile choice in aerial “dogfights”. The missile is attributed to some 270 aircraft shootdowns in its history. 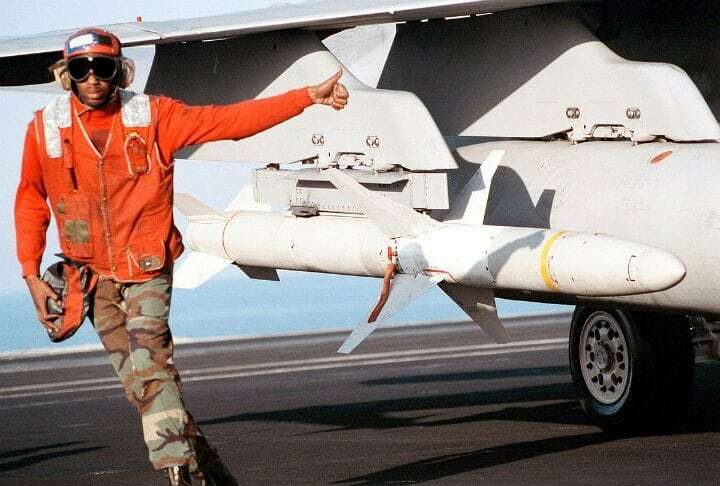 The Sidewinder is also one of the oldest, least expensive and most widely-used missiles by Western forces with more than 110,000 units produced. Like the venomous rattlesnake that it was named after, the Sidewinder is also guided to its targets by heat-seeking, infrared sensory homing. Nope, this is no medical device. The Scalpel is actually an acronym for Small Contained-Area Laser Precision Energetic Load. Which in normal English means what exactly…? Basically, it’s a bomb that is guided by a laser. A robotic system is directed by the laser to pinpoint positions and strike small, urban targets without causing widespread damage. The Navy is reportedly still looking for more funding to make the high-tech explosive fully operational. Of the 41 active aircraft carriers in the world, the U.S. has the largest fleet with 11 of these mammoth seagoing airbases/warships in service. These giant warships carry fighter planes, strike aircraft and helicopters along with the crew and munitions. One type of the weapons that is commonly transported on these ships is the general-purpose (SP) bomb. 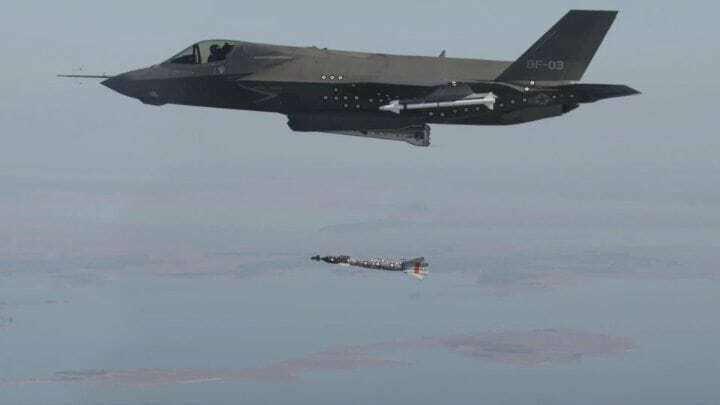 These air-dropped explosives (particularly the Mark 80 series) can be tricked out with Joint Direct Attack Munition (JDAM) kits, which essentially turn unguided bombs into “smart” munitions that can improve accuracy in any weather condition. The next U.S. Navy weapon literally blows the competition out of the water. The Navy’s aerial component is an integral part of America’s third-largest service branch. With more than 3,700 aircraft as of January 2018, Navy planes must be equipped with the capabilities to warn and protect the maritime fleet. 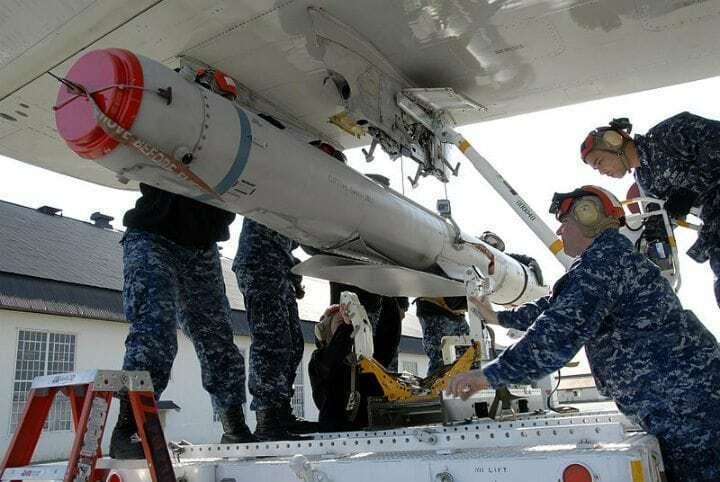 One component of the Navy’s aerial arsenal is the M61 Vulcan – a principal cannon armament installed on Navy jets. 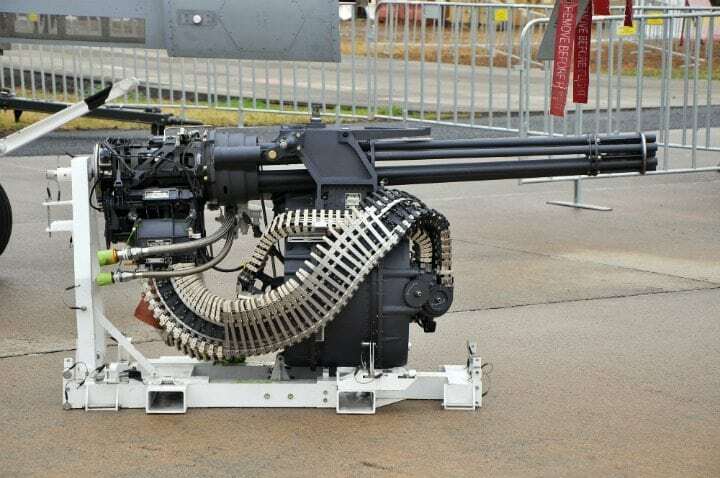 The Vulcan is a hydraulically-operated Gatlin-style rotary cannon that can fire about 100 rounds per second (that’s about 6,000 rounds per minute). The Low-Cost UAV Swarming Technology (LOCUST) has the Navy buzzing with excitement as one of the newest developments in deterrent warfare. The ship-based launchers can rapidly fire a swarm of 30 drones that can plague the enemy by jamming communications and draining resources by drawing fire. The deployment of these drones is designed to overwhelm the adversary in dangerous situation while reducing the threat of hazard to personnel. At a relatively low (for DoD standards) price of $15,000 per unit, the unmanned aerial vehicles are generally expendables. LOCUS is reportedly still in the development and testing phase. 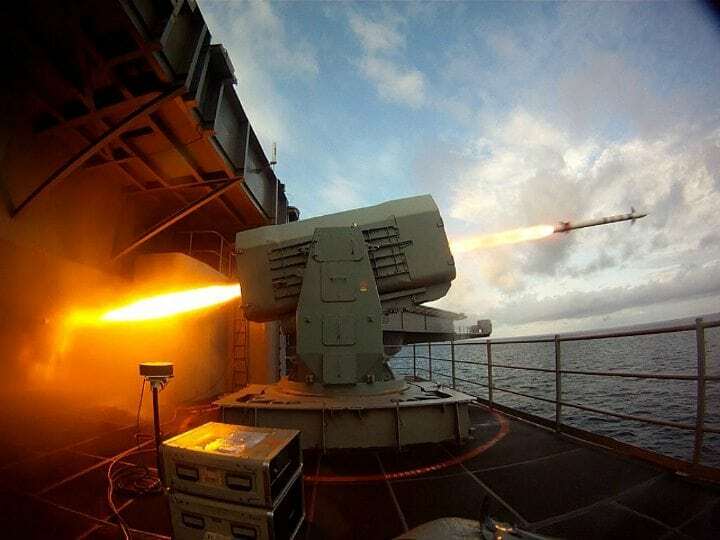 The Phalanx close-in weapon system, or CIWS (pronounced “sea-whiz”), is one of the main components of the Navy’s first line of defense against anti-ship missiles. The system is fitted with the previously-mentioned radar-guided, 20-mm Vulcan cannon. The Phalanx is on every class of the U.S. Navy’s surface combat ship except the “San Antonio” class amphibious transport docks. Due to their distinct barrel-shaped radome design, these units are often referred to as “R2-D2” (just this one is a little more lethal). 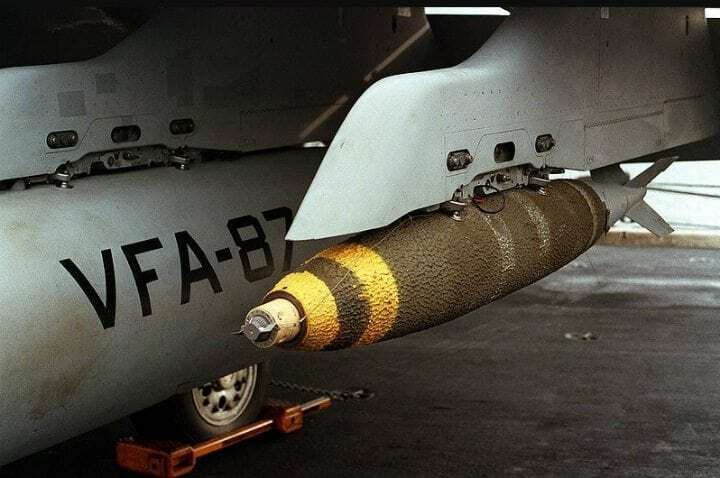 The Paveway family of laser-guided bombs is regarded as a revolutionary weapon that converts “dumb” (unguided) bombs into precision-guided munitions. Newer Paveway versions consist of innovations that decrease the amount required in a barrage and increase mission success. These laser-guided bombs are deployed from the air against targets on the ground. 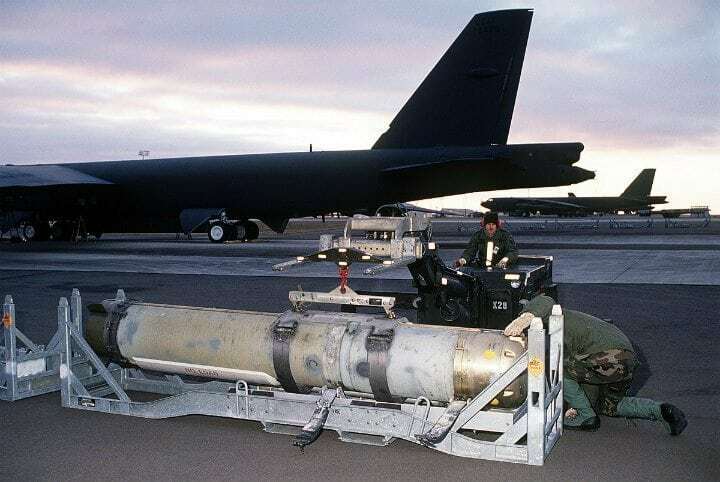 They were the weapon of choice used for more than half of such precision-guided weapons strikes in the Iraq War that began with the 2003 invasion to overthrow the government of Saddam Hussein. Don’t miss the next couple of amazing armaments in the U.S. Navy arsenal. The AGM-88 HARM is a high-speed anti-radiation missile that seeks out and destroys hostile radar systems. As the threat of electronic warfare pervades, the HARM can home in on electronic transmissions via a technology installed in the projectile’s nose. Again, this military acronym is telling of its purpose. 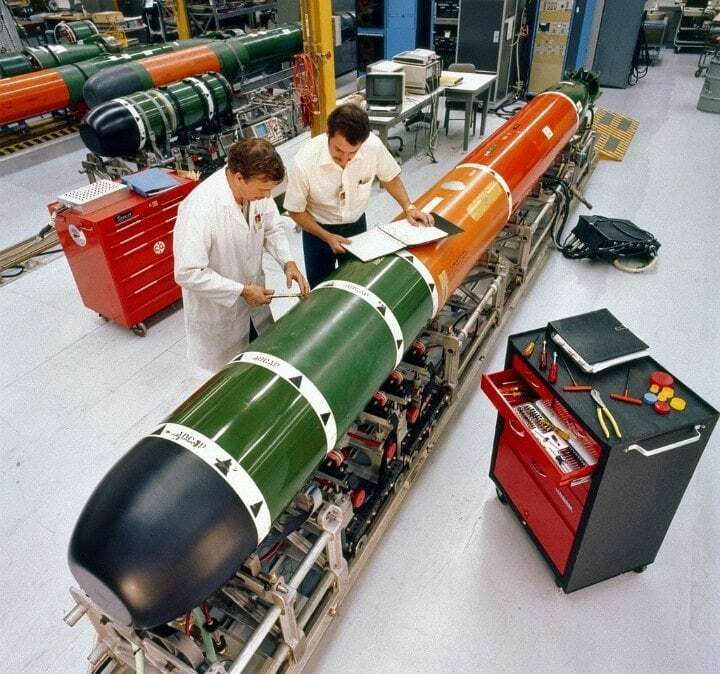 Currently priced at more than a quarter of a million dollars per unit, the HARM missile has a range of more than 80 miles and a speed surpassing 760 mph. It has seen considerable combat use by the Navy in 1991’s Operation Desert Storm and the 2003 Iraq War. This 1,000-pound air-to-surface missile can deliver various lethal warheads and was produced as part of a joint Navy-Air Force venture. The stealth-looking precision-guided weapon is particularly vital when targeting defended positions outside the range of standard anti-aircraft defenses. 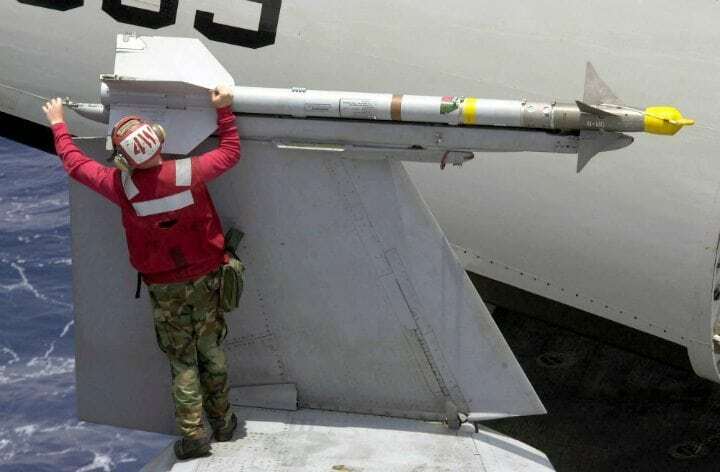 The latest version of the JSOW provides the Navy with capabilities of attacking stationary land and moving targets at sea. These highly-lethal glide weapons were considered one of the most successful DoD developments in the ‘90s and their technology keeps improving. 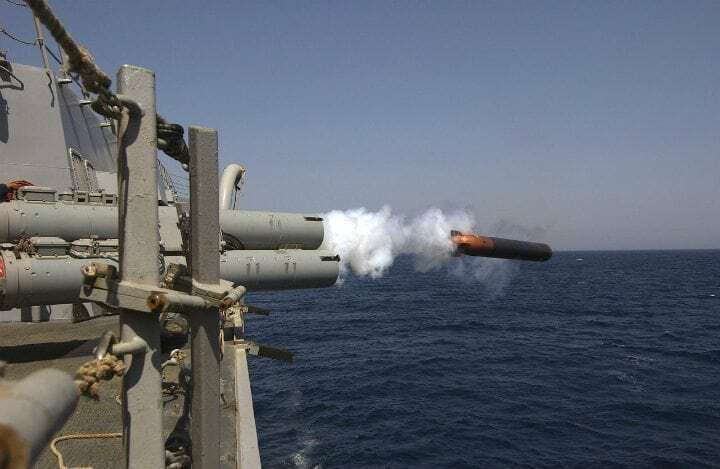 The Mark 36 Super Rapid Bloom Offboard Countermeasures Chaff and Decoy Launching System is quite a mouthful, and it’s not even a weapon per-say. This defense mechanism launches radar-fooling decoys from maritime vessels to foil enemy missiles strikes. Each SRBOC launcher consists of six tubes that fire off an effective spread of decoys to disrupt radio frequencies that can tip off the enemy of a ship’s position. As of 2010, 19 navies around the world used the SRBOC as a countermeasure on their fleets. This nuclear submarine-destroying underwater missile is used to target and destroy fast, deep-diving subs. The 9.5-foot-long advanced lightweight torpedo is designed to dodge barrages of counter torpedo fire and eliminate high-performance nuclear submarine threats. The MK 50 was developed to replace the aerial, anti-sub MK 46 torpedo and is also made to knock the enemy out of the water (literally) in deep and shallow seas. Propelled in part by stored chemical energy, the Mark 50 torpedo can be launched from air and surface vessels. The U.S. Navy has the capability to equip its warships with “freakin’ laser beams.” No, seriously! 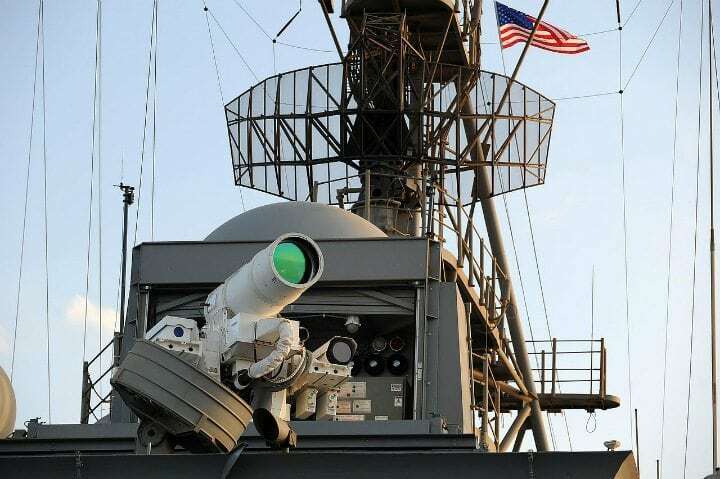 The Laser Weapon System (LaWS) was first installed on the USS Ponce in 2014 and passed testing, garnering a green light for operational defense purposes aboard the ship. The U.S. Navy one-upped the technological warfare game with this futuristic energy weapon that can emit an infrared beam toward a target. It’s not quite the Death Star, but that beam can be adjusted in intensity to warn, cripple, blind or COMPLETELY fry an enemy target. Don’t forget to SHARE this article if you liked it!